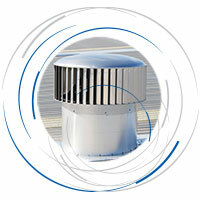 Hurricane was the first industrial ventilator to incorporate vertical vane design which tests at University of Technology, Sydney have shown to be have an improved co-efficient of discharge (Cd) compared to similar sized traditional spherical vents. Hurricane range of Special Variations ventilators such as fire rated (FR) ventilator provides continuous ventilation and smoke release capability in the event of a fire. The operation of FR also does not interfere with Early Suppression Fast Response sprinkler systems. Edmonds offers a service to help select the right size, number, type of vents is specified according to AS/NZS 4740. Contact our office today.